Another Glass of Champagne: OUT SOON!!! 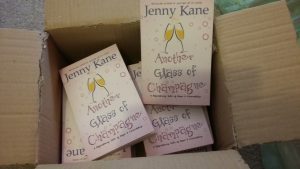 Posted by Jenny Kane on May 29th, 2016 in Blog, Contemporary fiction, Contemporary Romantic Fiction, Fiction, Romance | Comments Off on Another Glass of Champagne: OUT SOON!!! The 9th June is almost here! 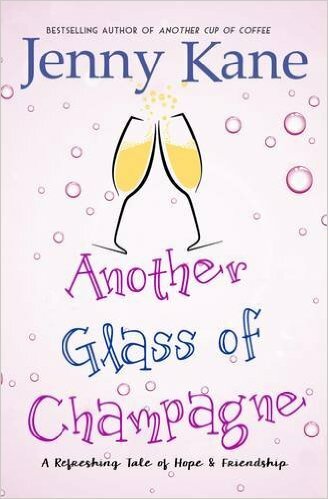 Another Glass of Champagne is coming out in both paperback and eBook form! Fortysomething Amy is shocked and delighted to discover she s expecting a baby not to mention terrified! Amy wants best friend Jack to be godfather, but he hasn’t been heard from in months. When Jack finally reappears, he s full of good intentions but his new business plan could spell disaster for the beloved Pickwicks Coffee Shop, and ruin a number of old friendships… Meanwhile his love life is as complicated as ever and yet when he swears off men for good, Jack meets someone who makes him rethink his priorities…but is it too late for a fresh start? Author Kit has problems of her own: just when her career has started to take off, she finds herself unable to write and there s a deadline looming, plus two headstrong kids to see through their difficult teenage years…will she be able to cope? A follow-up to the runaway success Another Cup of Coffee. I’m so excited about having this new novel out! I can’t believe that Amy, Kit and Jack have come so far since Another Cup of Coffee– but fear not, it isn’t essential for you to have read the other books in the series to enjoy this one.